Backed by the wide distribution network and proficient personnel, we are able to offer an unparalleled assembly of Sensor & Temperature Controllers. Under this range, we include Incubator (Eco Friendly) Automatic, Low Temperature Cabinet Vertical (Deep Freezer), Walk-In Incubator and many more. The products we are offering are acknowledged for feature like high performance, better efficiency, long service life, corrosion-resistance and low maintenance. Besides, patrons can avail this range as per choice. Our organization specializes in offering a wide gamut of Low Temperature Cabinet Vertical (Deep Freezer) to our valuable customers. These quality-approved low temperature cabinet verticals are manufactured using optimum quality raw material that are procured from the reliable vendors of the market. Post production, our range is further tested on various parameters to ensure its flawlessness. 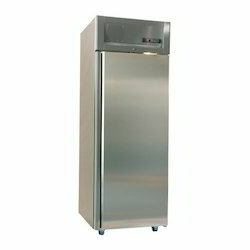 Looking for Low Temperature Cabinet Vertical ?